Construction is better than average with 1960's type engineering. Tuning is smooth and quite accurate in a "Hallicrafters" sort of way. 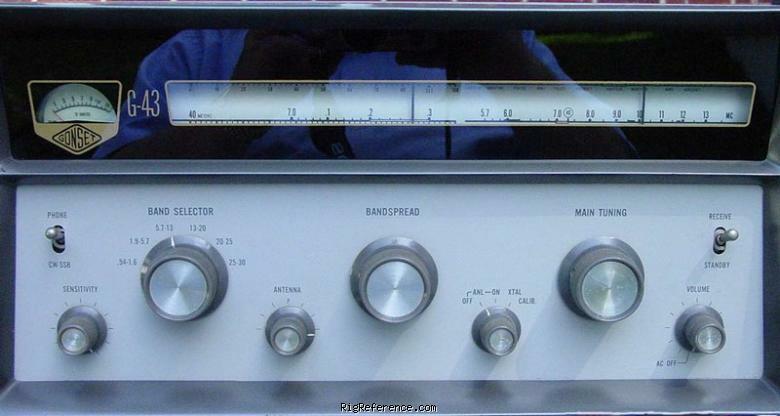 Gonset designed a nice S-40 type receiver with an "S"-meter and "miniature" tubes. I would rate it good for an SW rig for starters. Got mine for $40 at the Toledo swap. Estimating the value of a rig can be challenging. We collect prices paid by real hams over the years to help you estimate the current value of the Gonset G-43. Just bought or sold this model? Let us know what you traded it for and help other ham operators!